The Harvard Club of Cincinnati Book Club meeting is set for Wednesday, November 18, 2015 at 7:30 p.m. at the Bronte Cafe in the Joseph Beth Bookstore. The selected book for our Wednesday, November 18th meeting is "Hard Times," by Charles Dickens. 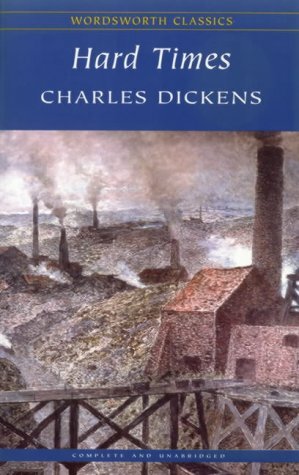 Review: Perhaps the least-known of all Dickens' novels, Hard Times is a social-protest novel which attempts to lay bare the malignant impact of nineteenth-century industrial society upon the people living in English factory towns. It was poorly received upon its publication in hard cover and has been often overlooked in critical surveys of Dickens' works. No other work of Charles Dickens presents such a scathing indictment against the relentless greed of the Victorian industrial society and its misapplied philosophy. With savage bitterness, Dickens unmasks the terrible industries that imprisoned the bodies of the helpless labor class and the equally diabolical institutions that shackled the development of their minds. This book follows a classical tripartite structure, and the titles of each book are related to Galatians 6:7, "For whatsoever a man soweth, that shall he also reap." Book I is entitled "Sowing," Book II is entitled "Reaping," and the third is "Garnering." About the Author: One of the grand masters of Victorian literature, Charles Dickens was born on February 7, 1812, in Landport, Portsea, England. He died in Kent on June 9, 1870. The second of eight children of a family continually plagued by debt, the young Dickens came to know not only hunger and privation,but also the horror of the infamous debtors'prison and the evils of child labor. A turn of fortune in the shape of a legacy brought release from the nightmare of prison and "slave"factories and afforded Dickens the opportunity of two years' formal schooling at Wellington House Academy. He worked as an attorney's clerk and newspaper reporter until his Sketches by Boz (1836) and The Pickwick Papers (1837) brought him the amazing and instant success that was to be his for the remainder of his life. In later years, the pressure of serial writing, editorial duties, lectures, and social commitments led to his separation from Catherine Hogarth after twenty-three years of marriage. It also hastened his death at the age of fifty-eight, when he was characteristically engaged in a multitude of work.